This annual conference kick-off reception is not to be missed. 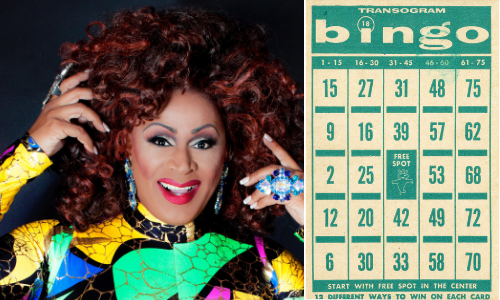 Join our very special host, Poison Waters, for an entertaining night of bingo. Appetizers will be served and there will be a no-host bar. If you're a new OLA or WLA member or this is your first time attending a conference, come meet OLA and WLA leadership, staff, and other active members. Learn a little bit about the association, how to make the most out of your conference attendance, and how you can get involved. 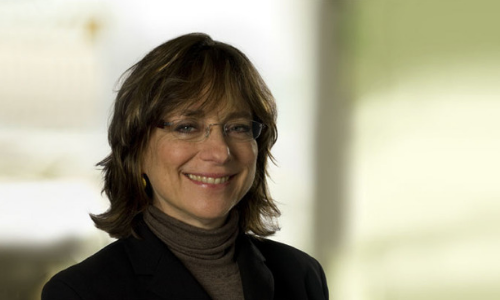 OLA and WLA are excited to welcome Deborah Jacobs, director of the Global Libraries initiative for the Gates Foundation. 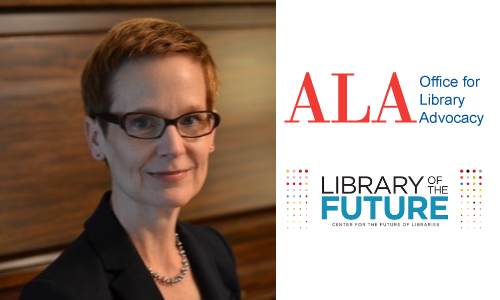 She oversees the foundation’s work toward improving people’s lives in developing and transitioning countries through useful, used, and sustainable public access to information and communications technology in public libraries. Prior to joining the foundation in 2008, she served as Seattle City Librarian for 11 years. In addition to directing the Seattle Public Library system, Jacobs led a $291 million capital-improvement program called “Libraries for All” that funded the construction of a new Central Library and renovated, built, or expanded 26 branch libraries. Join us for the kick-off celebration of the 2019 OLA-WLA Exhibit Hall! This year, we have almost 70 exhibitors that you can meet with. Represented in our hall are book distributors and publishing houses, small presses, databases, Libraries of all kinds, and much more. Learn about the latest products and services from specialists and experienced vendors, make new connections, and discover something new! Everyone is invited to this fun reception, sponsored by Emporia State University. Wind down after a full day of conference sessions and enjoy apps, activities, a no host bar, and good conversations with colleagues. Not ready to turn in after a full first day? Get together and hit the town, taking advantage of the weekend-long badge discounts at local attractions, cafes, bars and restaurants. In addition to the Show Your Badge Discounts available throughout the conference weekend, you can visit these breweries, wineries, and bars for one-night-only discounts. For more information, visit our local information page or the registration desk. 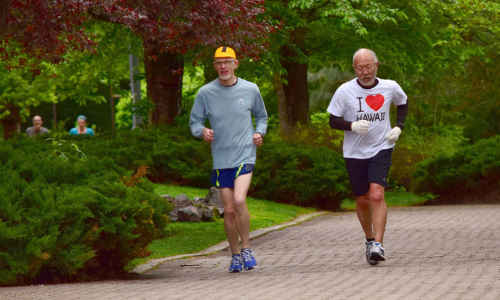 What better way to start off your day than to join us for a morning jog or walk through beautiful Vancouver? All paces and abilities are welcome to take part! Along the way you'll take in view of the new waterfront while get some fresh air and exercise. This event benefits the OLA and WLA scholarship funds. "Collaborators for the Future: Values, Trends & Our Changing World." How do we think about the future? As something for someone else to worry about? As something that will happen to us, not with us? Thinking about the future starts when we activate our minds to look for signals and trends outside of our immediate environments – and then think about those trends in light of our professional values and the values we seek to provide to our communities. WLA Members and Washington residents are invited to join WLA leadership for a delicious breakfast to learn about the association's accomplishments and what is being planned for the year ahead. Included with registration for WLA members and Washington residents, OLA members and Oregon residents on own for breakfast. OLA members and Oregon residents are invited to join OLA leadership for a delicious lunch to learn what our association has accomplished in the last year and what is being planned for the next year. In addition, the recipients of OLA’s numerous awards will be announced. Join us in celebrating these very special members of Oregon’s library community! Included with registration for OLA members and Oregon residents, WLA members and Washington residents on own for lunch. Everyone is invited to this fun reception. Wind down after a full day of conference sessions and enjoy apps, a no host bar, and good conversations with colleagues. Lilac City Live! is an award-winning “late-night” talk show produced by Spokane Public Library. They're taking their show on the road for us! 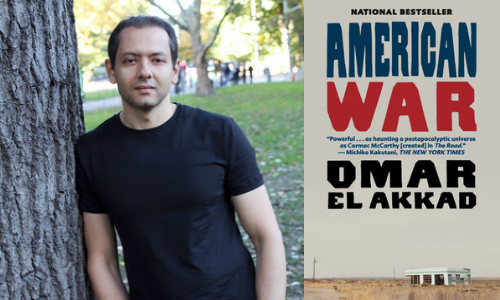 The show is hosted by Ryan Dean Tucker and will feature an interview and reading with author Omar El Akkad, musical performances by the Bushwick Book Club, and the comedy stylings of Alayna Becker. Come see how SPL showcases local talent and brings hundreds of people of all ages into the library each month. Mix, mingle, and enjoy a beverage and light snacks with WLA's President Rhonda Gould and OLA's President Esther Moberg, as well as other leaders, members, and notable names of OLA and WLA. All are welcome to attend this event to meet the faces of our organizations. The exhibit hall opens up bright and early, with a light breakfast available and quality time spent with the conference exhibitors. Spend the start of your day perusing everything the hall has to offer, and network with businesses and colleagues among the booths. Do you have patrons who bring in too many bags or have hygiene issues? Do you have students who come to school hungry or lack basic supplies or homework support? This interactive presentation is more than “sensitivity training.” You will learn why homeless individuals do what they do and gain practical tools for resolving problems and providing better service to those experiencing homelessness. Included will be discussion of those with mental illness and/or substance addiction. After this presentation, you will have more understanding of and confidence with homeless individuals. 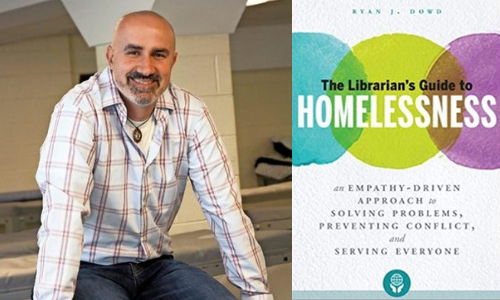 Ryan J. Dowd is executive director of Hesed House, a homeless shelter in Aurora, IL, and author of The Librarian’s Guide to Homelessness: An Empathy-Driven Approach to Solving Problems, Preventing Conflict, and Serving Everyone. Say goodbye to OLA-WLA 2019! Walk through the exhibit hall one last time to network with peers and connect with vendors. Try your luck with our raffle and silent auction, or participate in the festivities as we celebrate the conference at its closing.